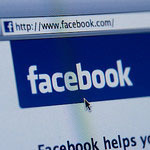 Facebook is launching a new advertising tool next week that will allow companies to target advertisements to Facebook users based on their email addresses, phone numbers and user id’s. However, these companies will only be allowed to do this for customers that have already used their business. Still, the whole thing seems a bit creepy. Who are they to be the middleman between our personal information and the businesses we patronize? Facebook will scramble your data before they give it to the advertisers, and will dump it immediately afterward. Also, the site insists that the entire process is completely secure. I understand that Facebook is grasping at straws in an attempt to make some dough off of ad revenue; all websites are in this day and age. Yet everything the company does feels so insidious. Of course Facebook is giving your personal information to businesses so that they can target advertising. That’s just so Facebook. They’re seemingly only comfortable when they’re making their users extremely uneasy about privacy issues.